Before I even start with this book review, I just want to say that “I LOVE THIS BOOK”!!!!!!! 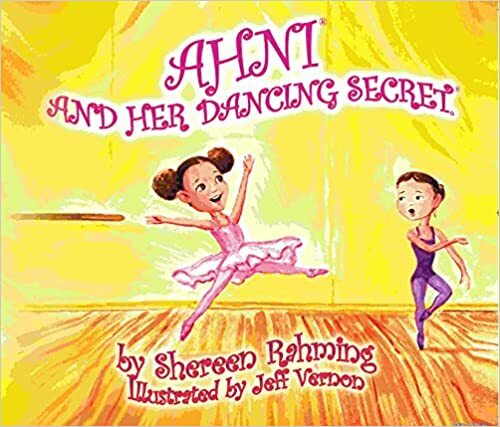 What the book is about: Ahni is a young girl that wants to be a ballerina, so she joins a ballerina school. She is so excited about it! She goes in confident until the other dancers start to make fun of her which causes Ahni to lose her confidence. As she was about the give up, she runs (literally into Madam Sabina); and Madam Sabina give her sound advise on how to overcome her insecurities. I am a true believer in encouragement (and encouraging kids to be the best that they can be), and this is the perfect story to embodies that message. I was so inspired by the book that I chose to read to my girls at my Abundantly Authentic Event. I would encourage you to get this book! The message is so pure and encouraging. Love it! It gets a 2 thumbs up from me, and is on my personal book list. Thank you Keisha for this awesome and encouraging review. Give my best to the girls who participated in your event.